Oh my Sweet little baby tights ! There is just something so cute about baby tights. they make an an outfit just that little bit more special while keeping your little ones legs warm...and protecting their little knees if they are crawling. At Not Another Baby Shop we have gorgeous baby tights and toddler tights. 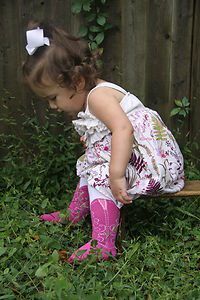 From rainbow tights to tights that look light boots we have your babies little legs covered.